This is a free signing event and outside items may or may not be allowed. You may want to bring an outside item just in case. The Jewel-Osco website mentions that Dawson will sign autographs but that’s all. 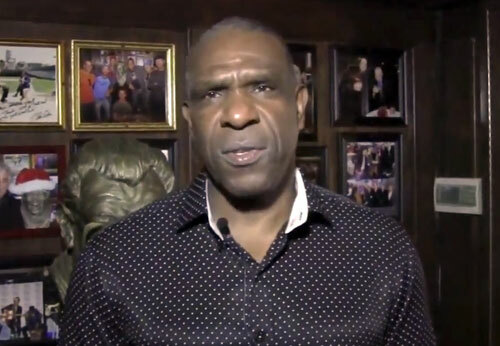 Andre Dawson is a former outfielder who played for the Chicago Cubs from 1987 to 1992 and so it is fitting that this appearance is in Chicago. Dawson was named National League MVP in 1987 plus he is an eight-time All-Star and an eight-time Gold Glove Award winner as well as a four-time Silver Slugger Award winner in the 1980’s. Dawson also played for the Montreal Expos, the Boston Red Sox and the Florida Marlins during his 21-year playing career. In 2010 Andre Dawson was inducted into the Baseball Hall of Fame. PFP Sports Talent Agency is a top booking agent for motivational sports speakers and sports personalities. If you would like to book MLB stars like Andre Dawson for a speaking engagement, personal appearance or special event, you can request Andre Dawson agent and speaker information from PFP Sports Talent Agency or call 800.966.1380.